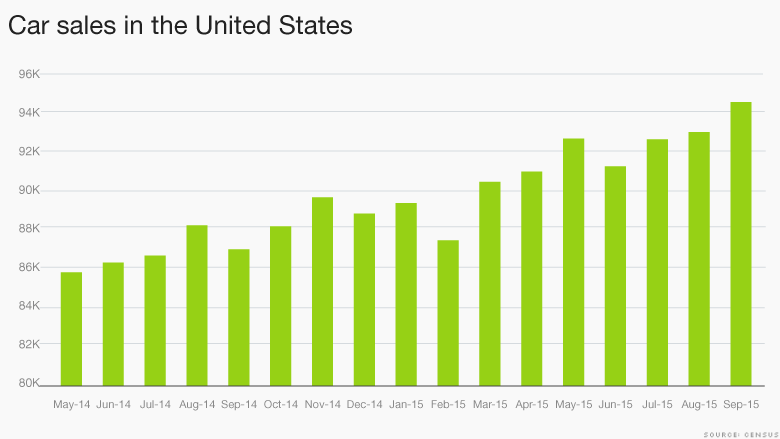 Americans are driving more miles than ever before. That's a good sign for the economy. Americans are driving more than ever before. Whether it's to explore new places, see loved ones or just going out to restaurants, Americans are getting into their cars to get there. And all these portend good things for the economy. 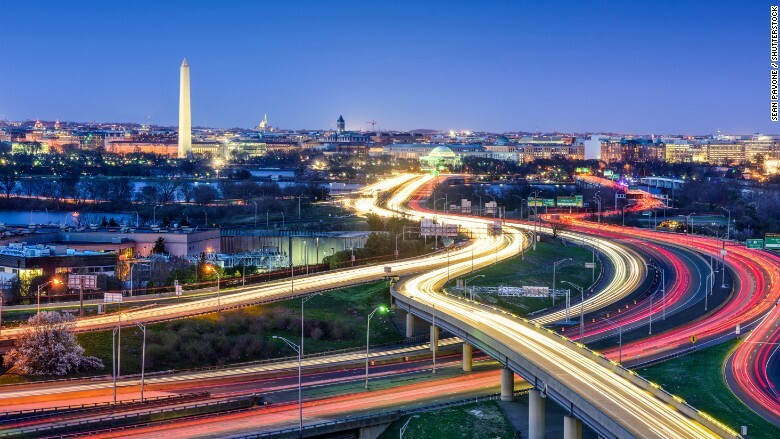 Since April 2014, total miles driven by Americans have risen from 2.9 trillion to 3.1 trillion, according to the U.S. Federal Highway administration. 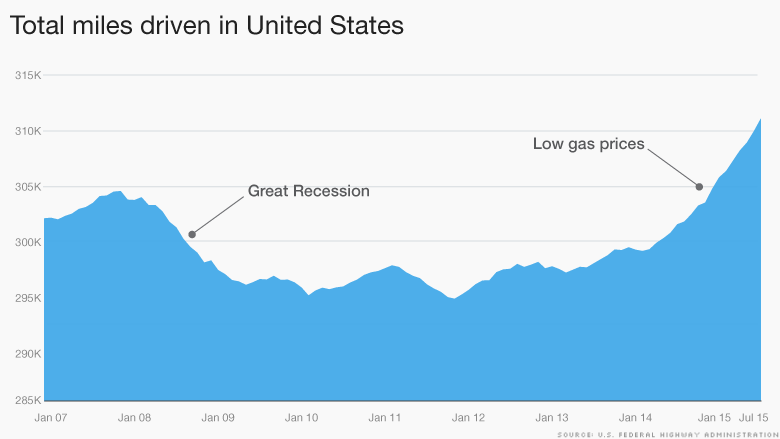 The figure surpassed its pre-recession high last December. 1. Americans are spending more on cars than ever before. 2. Hotel sales are gaining momentum. 3. More driving means more meals outside the house. Restaurant sales are up double-digits. Overall, the U.S. economy hasn't been a stellar performer lately. We'll get the latest update on Thursday, when the third quarter GDP report is released. Expectations are for low economic growth of around 1% on concerns of the effect of a global slowdown. The focus has shifted now to the American consumer to help lift the economy. "We're back to depending on the U.S. consumer to prevent the global economy from falling into recession," says Ed Yardeni, CEO of Yardeni Research. Sure, there have been concerns that American shoppers aren't spending a lot at the cash register. U.S. retail sales overall have just been okay this year -- nothing to write home about. 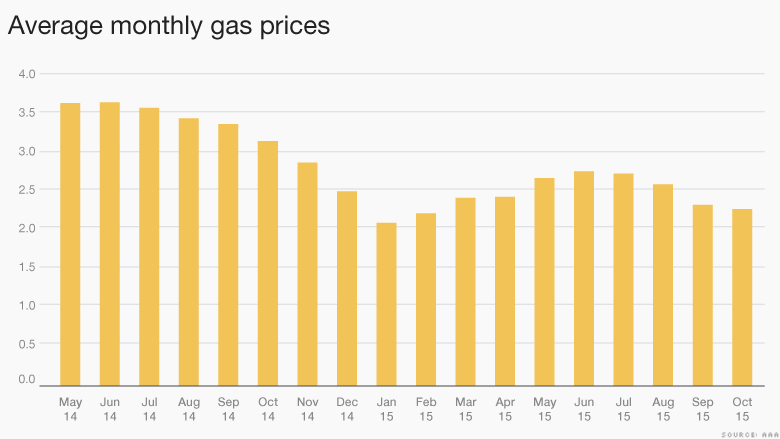 But Americans seem to be putting those cheap gas savings right to work by buying more gas and getting out more. It's a huge step forward compared to the Great Recession, when total miles driven took a nosedive and stayed relatively flat for years. More people are driving to restaurants for a nice meal or drink. Sales at restaurants and bars have risen 8% or more each month this year compared to the previous year. Hotel sales also have risen 5% so far this year compared to the same period last year, according to the Census Bureau. A lot of miles puts pressure on the country's aging car fleet. America's average car is already the oldest it's ever been -- 11.4 years old in 2014 compared with 8.4 years old in 1995, according to the Transportation Department. It's a perfect concoction to rev up new car sales. "The [car] replacement cycle has to accelerate. That's good for automakers," says Richard Coghlan, head of multi-asset strategy at Schroders. Car sales hit $94 billion in September, an all-time high and 9% higher than a year ago, according to the Census Bureau. Ford reports its quarterly results Tuesday, and if it's anything like GM (GM)'s record high earnings last week, expect them to be big. Analysts are calling Ford (F) to report an 8% jump sales compared to a year ago. That would be its best sales growth in two years. If Americans are buying big-ticket items like cars, its another healthy sign of consumer confidence and spending as the U.S. economy heads into the critical holiday shopping season. "The consumer looks healthy to us," says Steve Chiavarone, portfolio manager at Federated Investors. "We believe Santa is coming this year."